Thank you for the welcome. I will add Lion and be on the lookout for BS. I started playing a week ago on my android. I stumbled across the app and fell in love with the graphics. I followed the tutorial and quickly realized I had to either plan to spend money or limit my expectations. Because I'm retired, I have way more time than money so I will not be in a rush to build the world's greatest park. After a couple of days I decided to start reading blogs and found a great tip. That is to not use the gems during the tutorial. I opened a dummy facebook account so that I could send gems to myself and also started a new park. This time I followed the advice on the blog and saved the gems. That allowed me to upgrade the egg hatching area immediately. What a difference that makes! I also didn't clear as much of the island when I started my second park. I am still making errors because I haven't read enough. For instance, I was excited to see the moon and sun habitats. I bought a sun hab without realizing that I could only buy a sun dragon with gems. My 9 gems isn't going to cut it. I've discovered breeding combos and in my two parks I have made a few of the early hybrids. Poison, flower, tree, lava, obsidian. I plan to read more before I go too much further. One person who also has a "games only" facebook account contacted me as a new friend so it was wonderful to have a gem and a park to visit. I love this game but I will have to limit my experience to what I can do on a gem-free budget. PS - I have absolutely no idea what most of you are talking about. Is there a Dragonvale glossary somewhere? Welcome, susiespieler, glad you joined us. Please feel free to ask questions when we talk shorthand, or you can always private message us if you like. You can always sell that Sun habitat back for 1/2 the coins you paid for it. Kind of expensive, but at least you can buy a different habitat that is more useful to you now. There are lots of ways to play the game, we all tend to do our own thing knowing there is no "right" or "wrong" way to play, as long as you are enjoying your experience. You can breed a Sun Dragon with any combination that includes Cold and Lightning. You have about 4% chance though, so it might take a while. You also need to breed it between 7am and 7pm, else you will end up with a Moon Dragon. Feel free to ask any questions as there are plenty of people here who will help. Always be on the lookout for BS! Hi Susie and welcome. I only play on the apple platform so I cannot befriend you. I can offer you some extra piece of advice though. EVERY dragon is breedable. Except kairos. You'll find out about him later, but he is probably the most useful one of the lot. Some have time limitations though, like sun which can only be bred in the daytime. Others like summer can only be bred at certain times of the year. Still others require specific parents. There is a great tool called the sandbox that can help you choose what pair to breed. It can be found at www.2084.org/dragonvale/breeding-sandbox/. Take some time to get to know it. It will reward you handsomely. You don't need to spend any money on this game. There is nothing you miss out on by not doing so. It will just take a little longer to get the things you are after. You may want to spend some real money down the track by way of thank you to the developers though. We call that a karma purchase. Having a good circle of friends is very useful as you get gems regularly, and these are very handy. If you have advanced friends, they wont mind if you don't return them, so you can have more friends than you can give gems to. Another good source of gems is the colosseum, so get that early. I think the race track is overrated for getting gems, but I found it useful for getting Kairos, so maybe delay that a while. Ooh great advice Greg. See Susie lots of knowledgeable folks. My little guy 'cricket' has just started his very own park. He gets to do things exactly as he likes (he's five). We were playing together, which is fun, but, he has spent way too many gems in our park on speed ups for food etc., has a very different decorating sensibility to mine, and has been known to wreak havoc in the park when he's feeling a little miffed at me. Watching him play through the early levels takes me back - I loved this game right from the start. (Last October.) He's so excited, and I'm so excited to watch, and guide a little (only when asked of course). He's got a little expertise, knows how to use the sandbox, and has a far greater encyclopedic knowledge about all of the dragons, their parents and their eggs than I've ever had. I think he'll do fine without extra gems, for a while, anyway. It will be interesting to see how more, or less challenging the game is to start now than 9 months ago. Wren that is so cool. I wish cricket the very best of luck on his new park. is he in need of friends? I would be happy to add him to my second account debsiphone1 so I can send him gems. The primary account is waaay behind on gift giving. So far behind I am still keeping a list. Thank you. I am having fun with my dragonvale park. I started actively playing a few months ago. When I downloaded the game I actually already had an account and had gotten to level 4 at some point before I stopped playing lol, untill recently when I started again. I'm now level 26, very close to 27. At first the sheer number if dragons was overwhelming, and I was kind of like what is the point of all this? And how the heck will I ever have enough gold and gems to do anything? Discovering breeding apps and tips online was a huge help. It also helped to make friends through Gamecenter so that I could see that other players actually had epic dragons and lots of habitats, it made me realize it was possible without having to be like lvl 100! Anyway, my park is established now and I've managed to breed some epics, limiteds, and gemstone dragons. It's definitly a work in progress, but I'm pretty happy with the way it's turning out. I've managed to get 2 shrines to silver, and a few days ago finally got Kairos, as well as my first Moon. I'm mainly concentrating on trying to breed some of the more common hybrids that I don't yet have, as well as a few epics. Also working on my shrines, and just dropped 50 mil on a new island. Having alot of fun, so glad I continued playing! Confusing and tough in the beginning and first levels, but lots of fun as you level up! Information overload! There is so much out there! In my younger days I would have loved to totally geek out and discover a lot of the tips, stats, optimization parameters et al on my own but, for now, I'm happy to learn from the work of others. I've been reading about boosts, shrines, efficient ways to do this and that. It's still a challenge for me to find information relevant to what I need now because I don't know enough to know what I don't know. Yet. I now realize there are 8 basic elements that have opposites. It looks like an awareness of opposites is important. So here are my sophomoric questions of the day: should I avoid putting opposite habitats on the same island or will that only matter if I start obtaining boosts? Do most of you have certain combinations of habitats you use on each of your islands? So here are my sophomoric questions of the day: should I avoid putting opposite habitats on the same island or will that only matter if I start obtaining boosts? Only really matters once you start obtaining multiple boosts. Do most of you have certain combinations of habitats you use on each of your islands? Still had dragons with penalties here or there, but they were limited dragons that were still recieving a net bonus. For examaple Rose was on island 1. It was getting two boosts, so I didn't realy mind the single penalty too much as it still produced more DC/min then it would have with no boosts. I had another island for all the dragons that would suffer a net loss if they had been on the two main islands, including the opposites. That got a bit crowded eventually, but I added more islands as I got more dragons The epics take up quite a bit of space and I generally like things arranged in a certain patterns so that I can see the dragons moving about more clearly. As Blood said, habitat placement only matters when you have boosts out. I like to try and keep habitats organized by type, so my islands usually have little groups of habitat types. For instance, the majority of my Metal habitats are on one island, and all my Water habitats sit in a row. This isn't always the case, do to the boosts. I'm not too concerned with the boost placement, but I do try and keep it so that my dragons' earning potential isn't hurt by the boosts. Also... space limitation. I hear you on that, BS. I'm putting off my redecorating for as long as I can manage. Those are really great questions. Having opposite habitats on an island only hurts DC production if you have the boosts. As to the combination of habitats that work best together, I think it will depend on what dragons you have in particular the limited dragons. It will also evolve as you collect more dragons. Here's how the boosts are setup on my islands in my main park. metal+lightning : Chosen to maximize output of Magnetic dragons in a metal habitat initially. Now works well with all the Copper fails I got in the last month and also the Liberty dragon. plant+earth+cold+water : chosen to maximize output of the Century fails that I got when I was breeding for a Diamond back in April. The plant boost helps Bloom and Clover output. fire+air: started as the catch all for what was left after the first two islands were setup but works to boost the output of my Butterfly dragons. Now that I worked up to my seventh island, I've finally sorted out my islands based a little on how they look together and a little on how many dragons I have that are affected by the boosts. Right now I have one Metal and Lightning island, one Earth and Fire island, one Plant and Air island, and one Cold and Water island, along with the matching boosts on each island. I can mostly (though not completely) move dragons around enough to have them on an island that doesn't give them a negative boost, except for the three-element limiteds. As for my other three islands, my Kairos island also houses my Epic habitats. One island is my "work island" with my treat farms, hibernation cave, storage tower, race track, and colosseum. Finally, my favorite island is my "nursery" island. I have my breeding cave, my hatchery, my fountain of youth, and habitats that only hold dragons that I've put through the fountain of youth. I love visiting all of my wee baby dragons - they make me smile! As has been stated, habitat placement only matters when you have boosts to worry about. Once you do, it is worth remembering that opposite boosts do NOT cancel each other out. 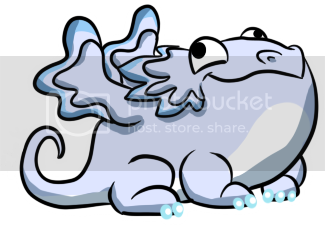 If you have a plasma dragon on an island with a water boost on it, it will get a positive boost from its water element, and a negative boost from its lightning element. The result is that it will earn slightly LESS than it would on an island with NO boosts that affect it. As for my placements, they are in a real mess at the moment, and have been for quite a while, but I have water and fire together to boost my Panlongs - a limited to celebrate the Chinese year of the dragon so not likely to return any time soon - these are a four element dragon that get a double boost from these two elements. At L10 they get a mad 279/min going up to a crazy 411/min at L15. I have plant, lightning and cold together on another island, this time to boost my army of blooms (hopefully back next spring) these get a TRIPLE boost this way taking them up to a respectable 133/min at L10 and 196 at L15. Mind you, the reason I have armies of Panlongs and Blooms is not for the cash - their habitats max out in an hour or so, making collecting a real chore, but I used them to level up my shrines. Between them, they account for 7 of the 8 elements. Shrines, if you haven't discovered them yet, are what allow you take your dragons beyond L10. I appreciate all of the advice! Thanks to everyone. This morning I have a reminder/tip (more of a slap upside the head to myself) and another question. Reminder for newbies: Don't forget to collect your Facebook gem when you complete a goal! When the wizard pops up to offer congratulations, don't be like me and immediately press OK. (We seem to be conditioned to quickly press OK to clear a dialog box.) Slow down and press the very tiny ruby next to the Facebook logo. This posts a comment and you get a gem! I've missed collecting a few because I haven't yet trained myself to collect the gem first. Once you press OK there's no going back. Question/opinion: Boosts have appeared along with the Gem Island. Given limited coin at the early stages, do you recommend buying the Boosts first or get the Gem Island? ... which leads to my current thoughts about the questions posed for this thread. Game decisions seem to be based somewhat on one's preference for "process" vs. "product". I have befriended a player who has a gorgeously designed and landscaped park who admits to enjoying the design process as much as breeding dragons and leveling up. Others clearly love flexing their left brain with ways to make the process more efficient. I'll stop before this becomes a dissertation. Re: Gemstone Island vs Boosts. The gemstone island is of no use unless you have gemstone dragons. So my advice is to go for boosts. And early on, when you have only a few boosts, pair up your boosts with habitats that have a high cap. Placing a boost on an island with a bunch of plant and lightning habitats isn't going to do you much good, because these habitats cap so quickly. You want to boost Large Ice and Large Earth habitats. For my part, I am not gifted or inclined towards decorating. My gaming is more geared towards min/maxing, efficiency, complete collections of dragons and eggs, balance and symmetry. Sometimes, however, I do get the urge to make my islands beautiful. Usually, I get this urge right before BFS releases a huge update that makes all my beautification a wasted effort. Presently, 5 of my islands are pretty nice, and the other 3 are an ugly jumbled mess. Don't forget the extra gem from Twitter also. You don't actually have to have a Twitter account to get the gem. You can press the Twitter button then cancel or go back and you still get credit for posting. You can do the same thing with the FB button. Welcome to the forum and I'm so glad you stuck it ou and leveled your park up. It may seem overwhelming with all the dragons but where you are you could use almost all the fail dragons as well as your specific dragon so it's a win win. Once you have all the dragons the fails can be a big bummer especially the long fails. So just keep breeding and you to will have all the dragons (eventually). Agreed. But don't forget you can use a plant boost on an earth habitat. Just fill it with earth/plant hybrids. And dont have any metal hybrids on that island. As I said earlier, the boost affects the dragon not the habitat.